Dapper houndstooth dog collar! 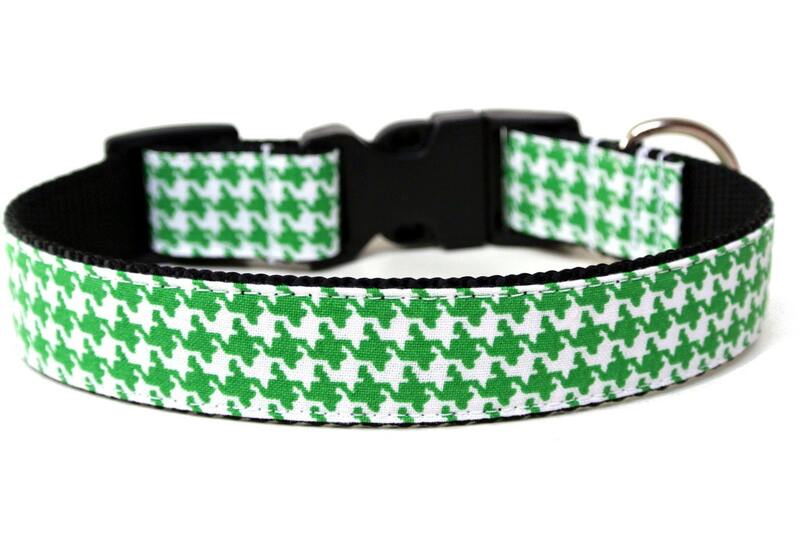 This green dog collar is made with 1" black nylon webbing, a matching black side release buckle, and a white background with green houndstooth design all over. Perfect for medium to large breed dogs. This listing is for a side release 1" houndstooth bow tie dog collar perfect for medium to large breed dogs. Please indicate which size you would like...note that all sizes on this Saint Patrick Day dog collar have 1" inch hardware.